You may not know it, but Van’s has been cooking up tasty, good-for-you waffles for almost a half century. It all started back in the 1970s when the Van Dam family opened a swinging waffle joint in Southern California. By the late 1980s, our groovy little beachside favorite (cool!) 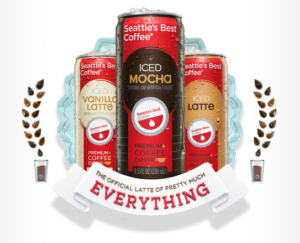 had outgrown itself, and the Van Dam family decided it was time to bring their creations to a whole new group of customers—right in their local grocery stores. Chocolate for breakfast? I’m allowed! 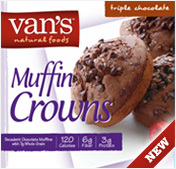 With Van’s Natural Triple Chocolate Muffin Crowns that is. 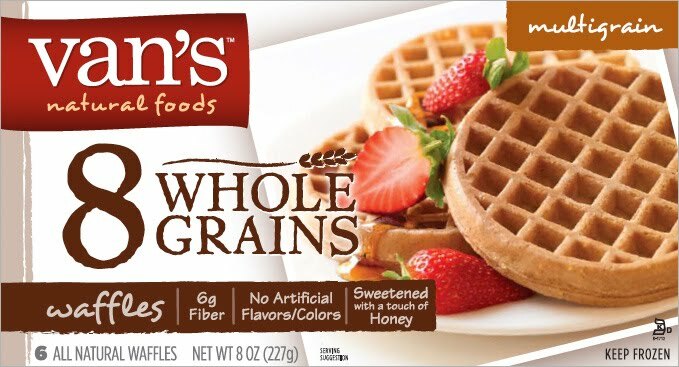 They are GOOD for me you see ~ 6g fiber, 3g protein and 7g whole grain. Tonight I actually ate one for my evening snack ~ warm in the micro ~ next time I think I’ll add a little frozen yogurt to go with it! The Wild Blueberry is yummy too ~ whole blueberries, oats and 8g whole grains. Don’t feel guilty eating muffins again! A staple we always have in our freezer…waffles. We tried out the most non-fun waffle (poor boys) to eat at our house. 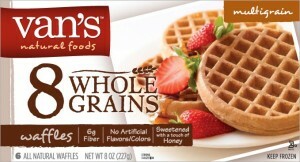 The Multi-Grain ~ 8 Whole Grains. I could have chosen Berry, or Belgian, or even Chocolate Waffle Sticks (yum!). We love ours with honey! The favorite all around was the Cinnamon French Toast Sticks. They are Gluten, Dairy, & Egg Free. Easy to heat up in the toaster, easy to eat with your fingers, and easy on the dishes with no mess! Dip in some sweet flavored syrup and you are good to go! Don’t know why I haven’t grabbed the Buttermilk Pancakes yet, but that is next on my list! What is a favorite breakfast at your house?